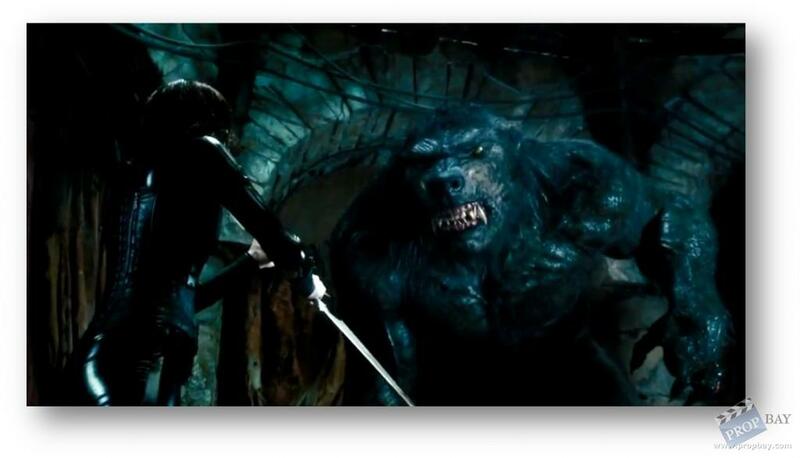 The “underworld” is threatened when mankind discovers the existence of the Vampire and Lycan species that have been thriving in this “alternate universe”. Not good for them, since mankind has begun a war to literally wipe both “species” off the face of the earth, like rats during the “Black Plague” years of 14th century Europe. 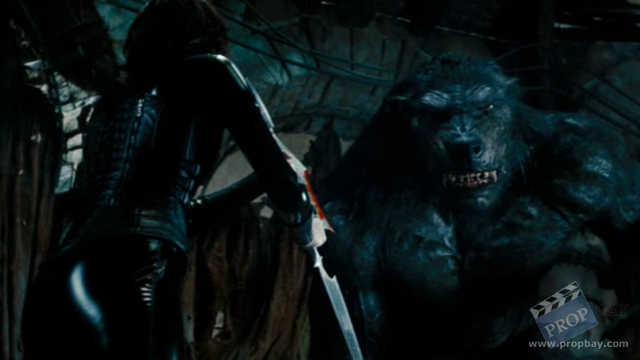 This is the concept behind “Underworld: Awakening” (2012). You would think the Vampires and lycans would band together against “humankind”, but instead, it’s “divide and conquer”, as they both go after each other, as well as their common enemy. As Selene says: “This is a new war and it’s only the beginning”. And wars need weapons. 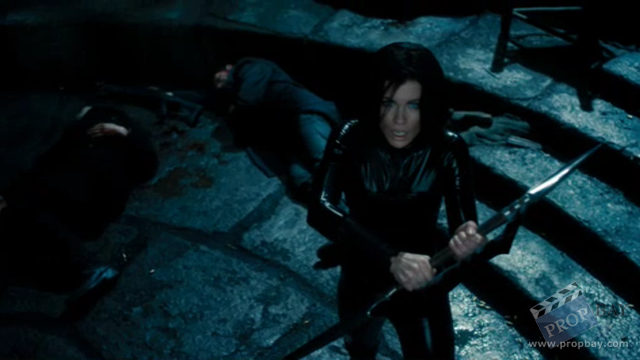 Here is a great example of one of Selene's (Kate Beckinsale) screen used, hand wrapped double bladed axe. It is more elaborate that some of the others which makes it an incredible set piece for display. 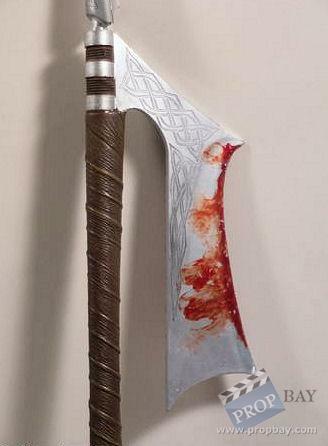 It includes an etched design handle, with broken bottom “gutting” blade with stained “blood”. 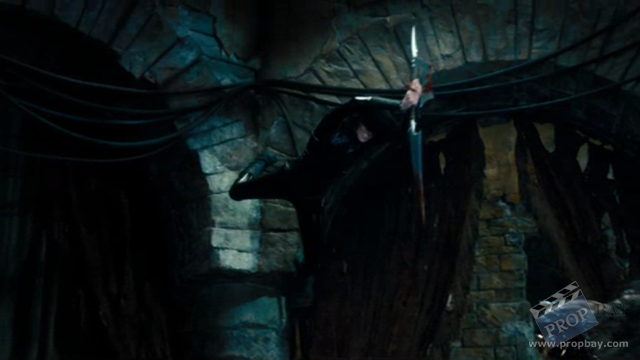 The blades are also made of plastic colored in “authentic” silver. 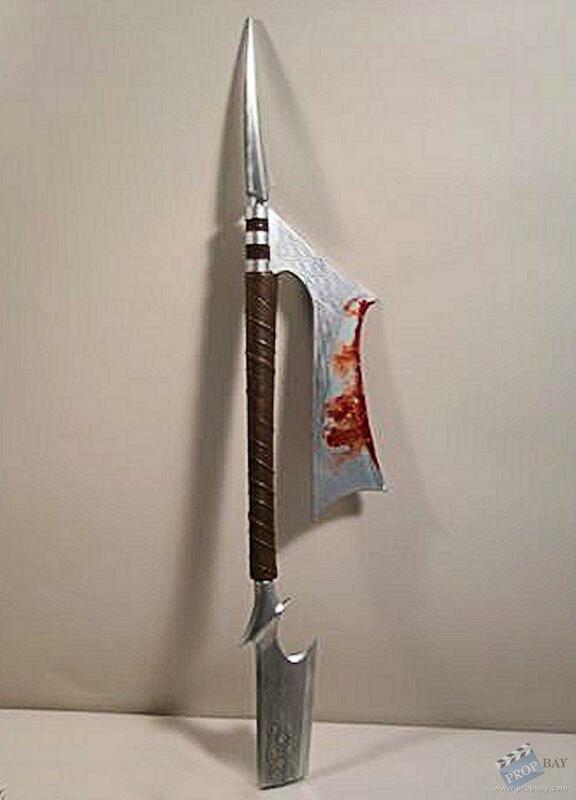 This is the first hero axe to be released from the studio archives from the film. (approx. 32" long). Added: 10-14-2012 - Viewed: 1973 times.